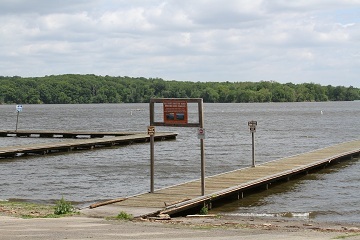 Boat ramp for power boats at Pohick Bay near Mason Neck and the Potomac River. Also allows carry-in launches of canoes and kayaks. The Park is part of the Occoquan River Water Trail, connecting Occoquan Regional Park and the wildlife refuges of the Potomac. The park also has pedal boats, sailboats, kayaks, and canoes for rent.